If you like working with people and want to make a difference in your community, come help us run our growing transit system! Commercial driver's license (CDL) not needed to apply. Bus driver Hector Espinoza shares his story. Is this bus driver job for me? 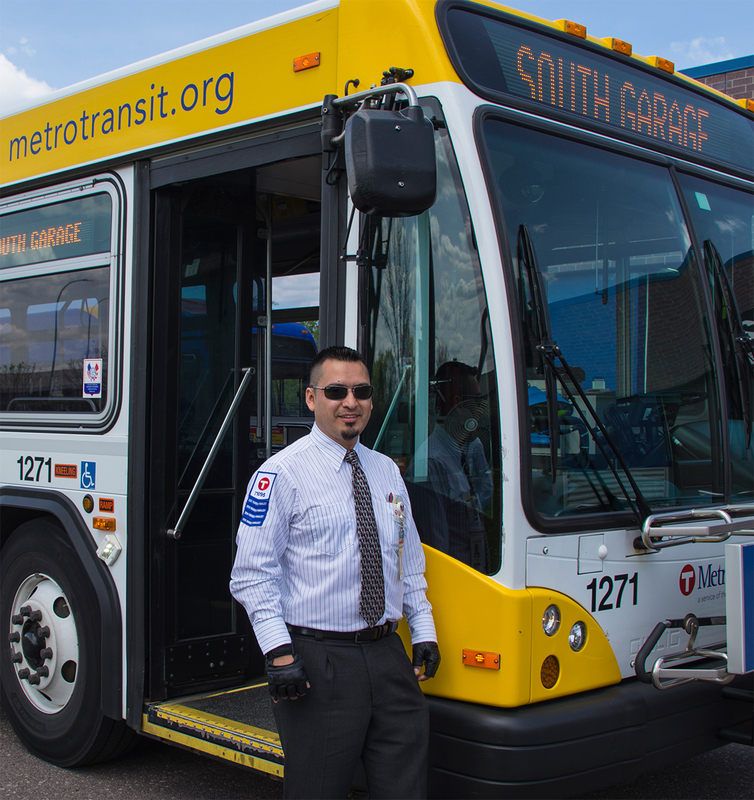 If you answer "YES" to all of the questions below, being a bus driver for Metro Transit might be for YOU! Do you enjoy interacting with a large number of customers every day? Are you comfortable assisting passengers from all cultures and backgrounds? Are you able to report to work on time, every day, regardless of traffic or other conditions? Are you comfortable learning to operate a large vehicle in all types of weather and traffic conditions? Are you able to work Monday through Friday? Are you able to work 2 ½ to 3 hours during the morning rush hour and 2 ½ to 3 hours during afternoon rush hours? Are you flexible to accepting a bus driver job where your choice of work schedule, work location and vacation schedule are based on seniority? Tuesdays and Thursdays 9-11 a.m.